Its been awhile since I posted anything, and here's a review of my current holy grail mask!!! I actually already heard of it (bubzbeauty & other beauty bloggers rave so much about it!) and it just landed in Singapore SASA a few weeks ago. The first time I saw it, I wanted the best selling Hyaluronic (blue one) but they were sold out so I got the charcoal one (was on some kinda introductory offer, 20% off $32.90 = $26.32). I loveeedd it so I thought I'd pick 2 more from the range. On the pamphlet, it felt like the Hyaluronic one and Rose one would suit my skin so I went back for more. But the staff mentioned that the Hyaluronic one was still out of stock and that the Rose one was not gonna be sold in SG. Bummer! I settled for two other ones, Aloe & Calendula (was again on some kinda introductory offer, 2 for $50 = 1 for $25). I placed an order and had the staff contact me once the Hyaluronic one is back in stock. I asked if there was any offer and they said it was now a "buy a second one at half price offer" so it works out to be $49.35 for 2 = $24.65 each lolol why does it keep getting cheaper?! Okay anyway its still the "buy a second one at half price offer" from now till 22/3 so hurry and get your hands on them while they last! Said to effectively balance skin moisture and oil level, I feel that it also soothes irritated skin while being very gentle to sensitive skin. I need to use it longer to actually see a difference in my skin's moisture level but each use was super comforting and my skin's redness is greatly reduced, leaving only super soft skin albeit blurred pores. My skin also became brighter after just one use. Sounds crazy but yes it was like that. Smells very calming too. It is supposed to be the best of the bunch in removing impurities, blackheads and stuff. I apply this on my entire face and I do see some dirt in the gel! The most important thing is that it softens the skin and it lifts the gunk to the surface so you can remove them easily. The most effective way yet, to clean my nose, is to use a nose strip right after this mask. It draws out so much more blackheads and dirt than a heating mask do (face shop & laneige, tried and disliked lol). Has the same brightening effect on my complexion as the other masks. It cleanses my skin but is not drying like other charcoal masks do because they re-structure their charcoal ratio to appropriately draw out impurities but not dehydrating the skin. REPURCHASE 5EVA!!! Aloe is meant to calm the skin and also moisturizes. This was the most "general" mask but it atleast brightens up my complexion quite visibly. Feels comfortable but not exactly very moisturized. This product is said to be able to reduce oil for oily skin peeps and also for after-sun care even on your body. 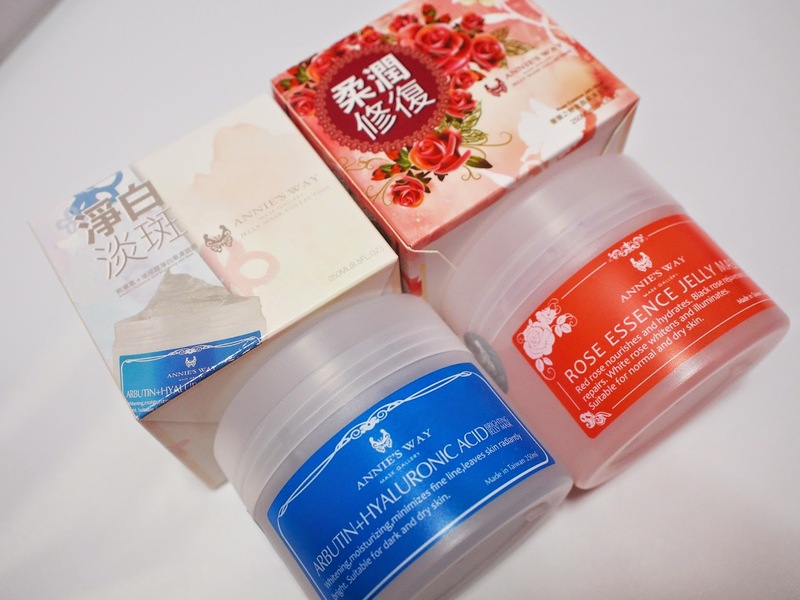 If you're looking for a mask to relax and soothe your skin in this very humid country then go for it! Not gonna lie that its more for people who don't have much skin concerns. Most likely not gonna repurchase this and gonna try another from their abundance hehehe. Usage of the mask is really simple. I like to apply a serum first, then slather on like 3mm thick of product, let it sit for 20 mins and use the provided spatula to scrape off, inwards, with very slight force. Then tissue off the rest and rinse your face, and continue with your skincare. And behold, the magic. The mask can be kept in the fridge (but remember to slightly "defrost" it or it'll cause cold burns to your skin) or simply in a cool, dry & dark place. I personally like using it straight out of the fridge hehe. Also, do not apply too thinly as it will dry and you will not be able to scrape the product off. And after religiously using (and loving) them for a few weeks, I was invited to a workshop by SASA and Annie's Way to try out their mask! I was already a well-researched student (yes I am) when I went for the workshop so I was all interested and attentively agreeing to what they were saying, since I experienced the great effects myself. 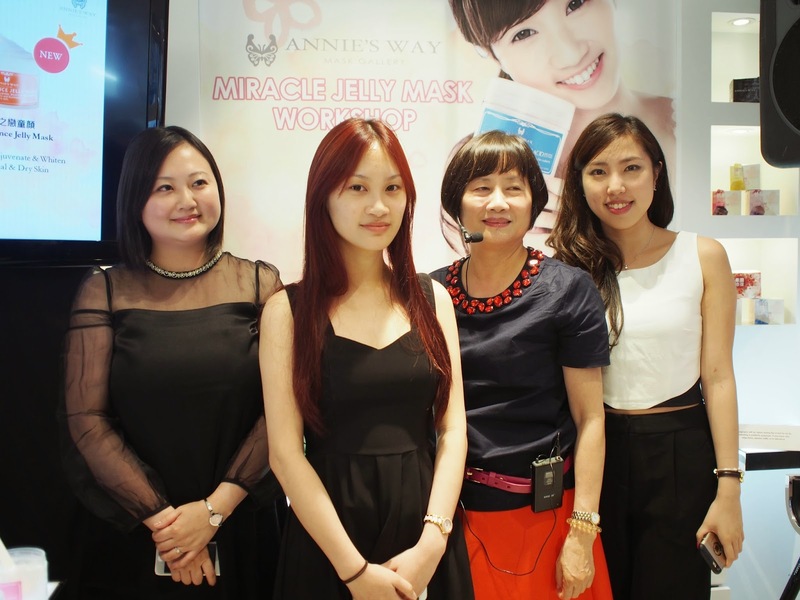 Ms. Annie Wu, founder of Annie's Way explaining the miracles she created. Her skin was glowing, probably from using all the awesome products from the brand. They actually make spa products so you can count on this brand for a home-spa experience at a fraction of the price! This very decadent one is on my shopping list next. 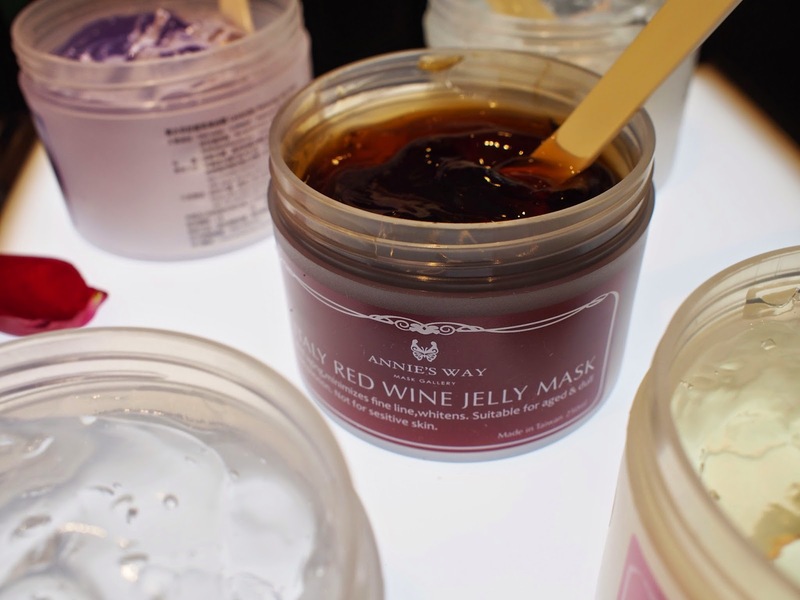 I was also briefed that all the jelly masks are able to draw out dirt to the surface of your skin and it softens the skin as well. Its like a home-spa product. Finishing it off with a sheet of their mask will give you the best results. Being alcohol & paraben free, this product can be used everyday.. if you have the budget. L-R: Ms Annie Wu, Model, Ms Zhang (demonstrator) and a SASA SG rep. The effects demonstrated on the model definitely wow-ed the audience with a really obvious brightening effect! I spy their new range of skincare! Tried them today and I can't wait for them to arrive in SG. They're generally botanical skincare and smells AWESOME. Don't they look so princessy? Its what every girl needs at her dressing table! 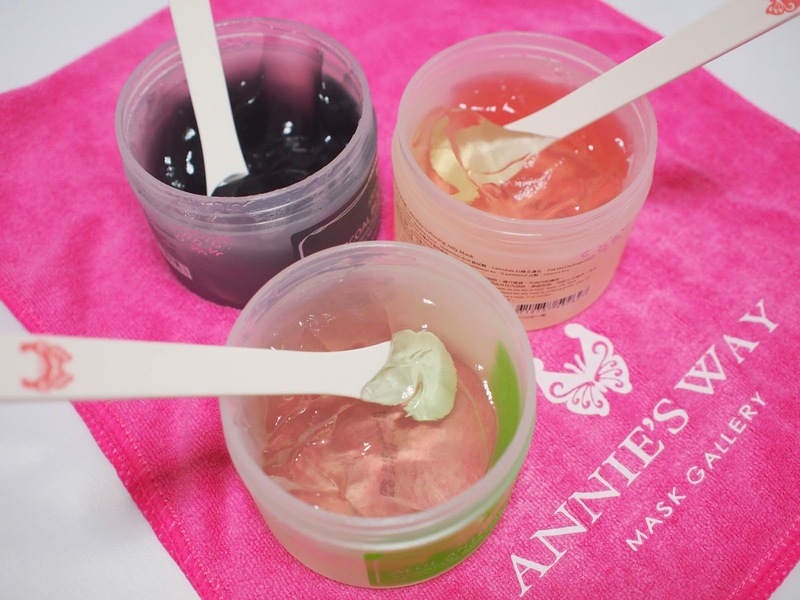 Ms Annie was really nice to provide me samples of these products. SO GONNA BUY ALL OF IT WHEN IT COMES. I think.. my prayers were answered. We were gifted more masks to try out after the workshop and it was just what I was looking for, exactly :') Can't wait to try them out and review them too! Heard that the Rose one just arrived so you're getting the first dibs! 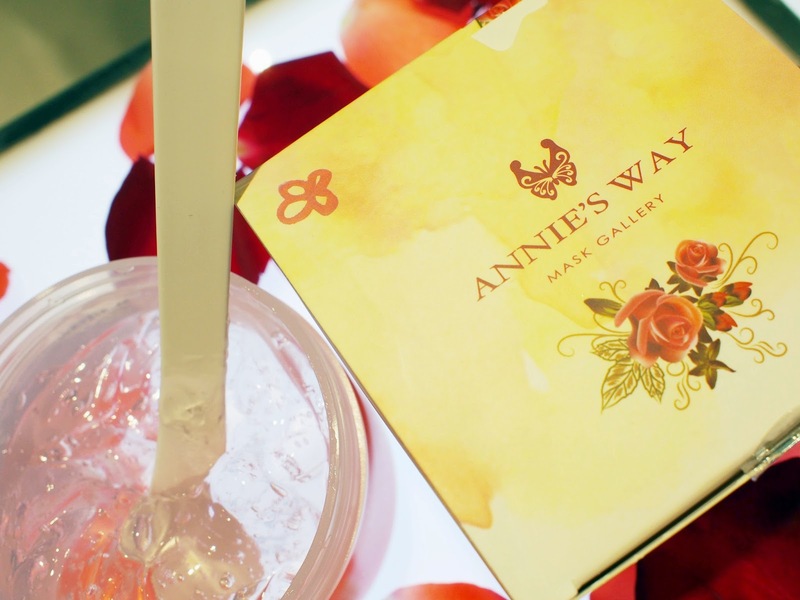 Annie's Way Jelly Masks are now available at SASA Singapore at $32.90 each (Rose Essence Jelly Mask at $45.90) with a "buy a second one at 50% off" offer only from now till 22/3! Its a super good chance to try these out! interesting. i wonder if the sasa in my area has it. Saw one of the masks in bubzbeauty youtube channel, and became very interested :D Thank you for the post!